Are you puzzled by setting up your network? May be, for people who are a newbie, it’s not easy to set up a better network. 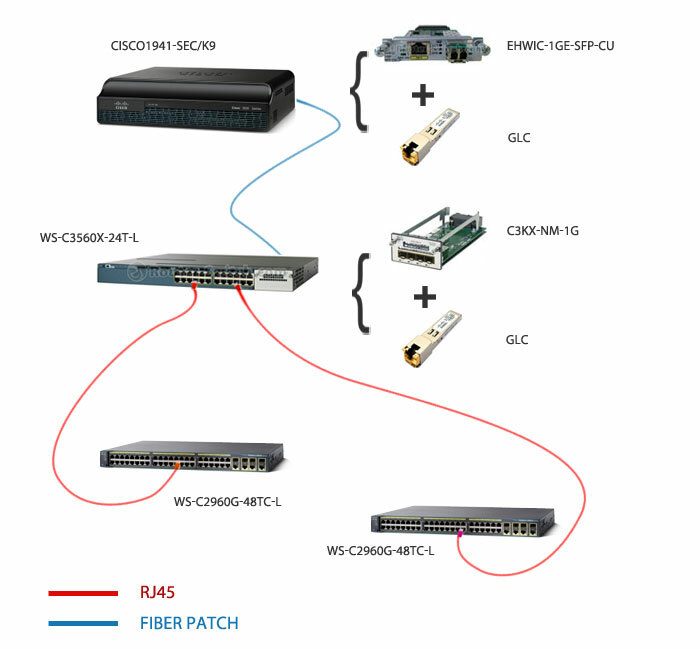 So in order to help you find out a better way to set up your network for your business with Cisco hardware, here we summarize five ways for you to do it well. Browse through these ways to find out the Best Solution that matches your business. Method A: Generally a private small business would range Two to Twenty PCs scale in a single office. 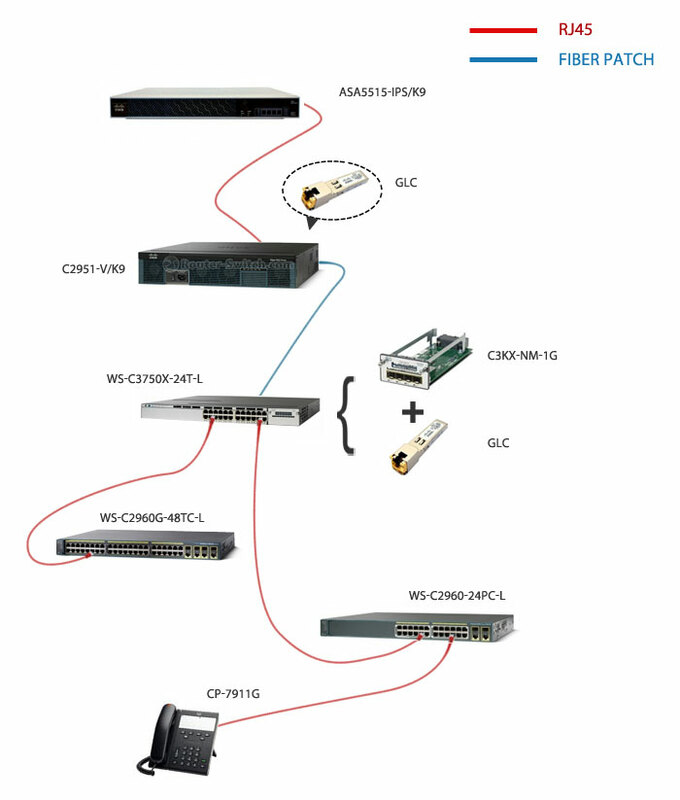 It is an easy network that Cisco would provide a cheap but stable Router and a 24 ports Switch (you can replace it by a 48 ports one, of course). It’s also easy to configure. Method B: This following network is designed for someone who has a harsher environment to keep the network stable and safe. 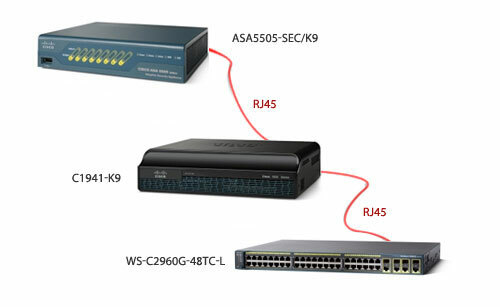 Adding a Cisco ASA to your network would provide a more powerful function of safety to meet your need. 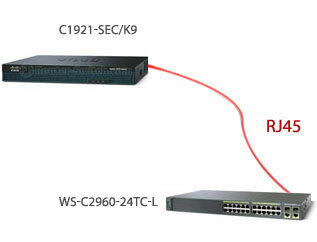 Way one: For a network environment of about one hundred clients distributing in several offices A Distribution Layer Switch can be added to your network responsible for forwarding, which can make things clear. Adding SFP (fiber) module also makes your network faster and unimpeded. Way two: If you have important business, you will need powerful Firewall and IP Phones or other video devices working. This network setup is a little complicated, so ask us to get more details of Cisco devices function to make your network easy. Live Chat is also available.